Whether you wear bow ties every day to work or only for special occasions, this is a great addition to your collection. 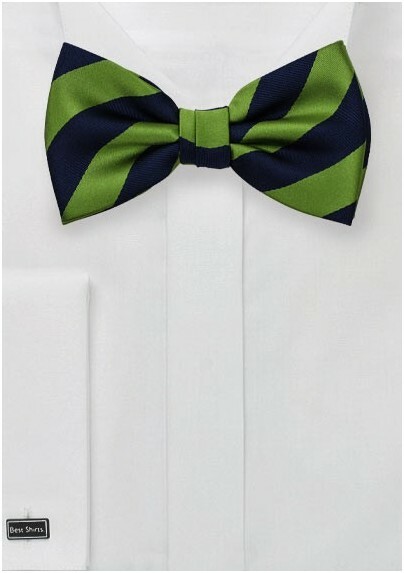 Perfect for matching your navy sweaters, this bow tie features a repp-textured navy stripe contrasting a deep citrus green. 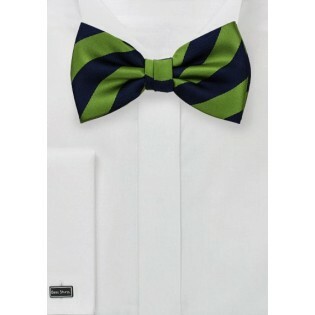 This bow tie comes pre-tied with a strap that adjusts up to 20 inches for convenient wear.